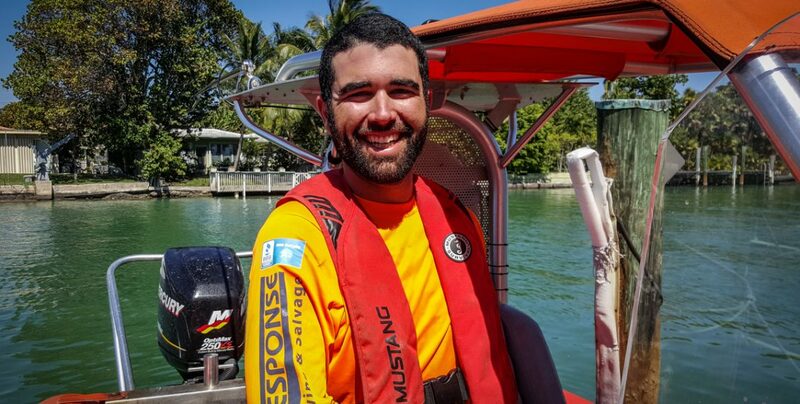 Fast Response Marine Towing & Salvage Captain David Correa grew up sailing the waters of the Caribbean, British Virgin Islands and his homeland of Puerto Rico. By the age of 18, he had earned his Captain’s License so he could make a profession out of his love of boating. His most unique experience as a member of the Fast Response team occurred while on a routine patrol of the inlet. “I noticed a canoe with two people board flip over in the middle of a busy waterway,” he says. “I rushed over to help, got them on board the tow boat, and one of them, a woman, hugged me and started crying like I’d just saved her from the Titanic. In his free time, Capt. David, who also is bilingual, enjoys the outdoors — fishing, diving and camping — and he also loves live music concerts. Previous Post Q&A with Capt. Chuck Hansen, Founder of Fast Response Marine Towing & Salvage Next Post New look to Fast Response Unit 1!